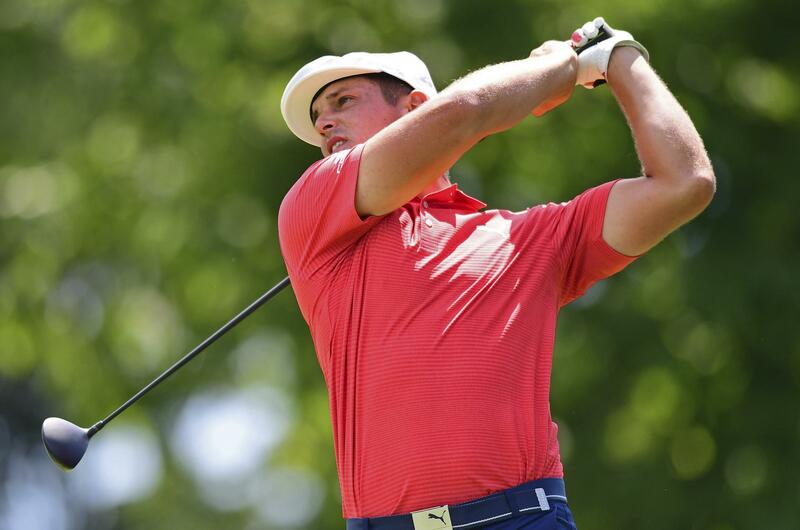 DUBLIN, Ohio – Bryson DeChambeau finally got it right on his third try at the 18th hole and won the Memorial in a playoff on Sunday. DeChambeau three-putted for bogey on the 18th for a 1-under 71 to get into a three-way playoff at Muirfield Village. He missed the green from the fairway on the 18th on the first extra hole and had to scramble for par. On his third try, he hit his approach to 12 feet behind the hole and made it for birdie to beat Byeong Hun An and win for the second time on the PGA Tour. Kyle Stanley ran off four straight birdies toward the end of his round until his final tee shot caromed off a tree and across the fairway into deep rough. He made bogey for a 70 and still got into a playoff, but he was eliminated on the first extra hole when his approach from deep rough squirted out some 30 yards and led to bogey. An, going for his first PGA Tour win, closed with a 69. Tiger Woods was never a serious factor. Starting five shots behind, Woods pulled to within three shots with a two-putt birdie on the par-5 fifth hole. But his chances effectively ended when he missed a 3-foot par putt on No. 10, and he put his tee shot into a backyard for the second time this week. He closed with a 72 and ended one of his best ball-striking weeks in a six-way tie for 23rd. Published: June 3, 2018, 5:49 p.m.